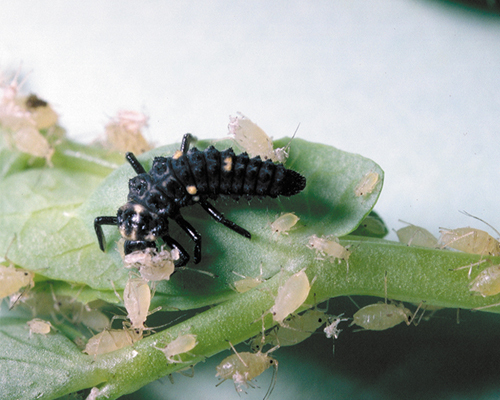 Pest: Aphids are among the best known pests and can cause great damage by their infestation. The growth of the infected plant is disturbed, severe infestation can even kill the plant. Solution: The larvae and beetles of the local two-point ladybird Adalia bipunctata are diligent aphid hunter. The Ladybug (-larvae) are released outdoors (eg. As roses or young fruit trees), in small greenhouses, conservatories or indoor plants and systematically search the plants by aphids. Adalia Ladybug larvae: The food supply in the box allows the larvae the achievement of the third larvaestadium. Then they are about 5 mm in size. At this stage the animals are released into the wild, because only now they can defend themselves against the ants to defend that maintain the aphid colonies and protect. The larvae then feed on aphids during about three weeks, and in the last larvaestadium up to 100 aphids per day are consumed. For sufficiently large food supply are the larvae sedentary. This is followed by pupation. After another 1 - 2 weeks the beetles slip. Adalia Ladybug: As good fliers they are looking at smaller, scattered aphid colonies. If you can find enough food, they behave remarkably true to location. 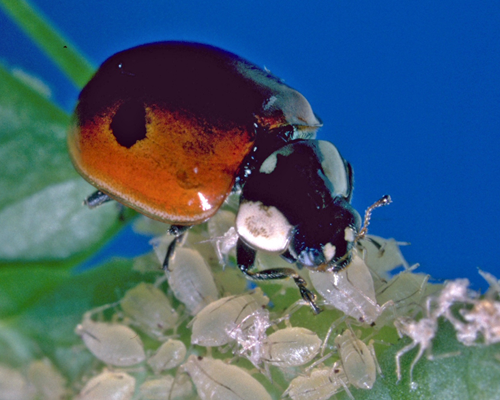 In places with many aphids Ladybugs females also lay 100-150 eggs, so that also contribute to hatching larvae with their ravenous hunger again to control aphids. After work in the area are no further aphid colonies found, the adult beetles can also take pollen and nectar from flowers native to itself. So they can in every quot natural garden at "times without louses" and then switch back to emerging aphid colonies. Finally, it is possible that the Ladybugs overwinter in sheltered places directly in the garden or in buildings and in time with the appearance of aphids begin its useful activity again in the spring. 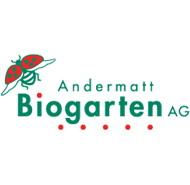 Application: Upon detection of an aphid attack at least two Ladybug be affected per branch or per aphid colony larvae or blank 1-2 ladybug. The animals can spread on the leaves or put a brush near aphid colonies on one sheet with either together with the carrier material. Application time: From April in the open. Note: Please note that at the arrival of Adalia Ladybug larvae already aphids must be present. However, an ant barrier yet is also recommended at this time. Please choose between beetles or larvae.